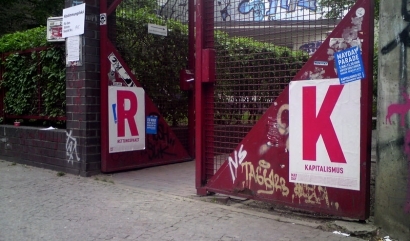 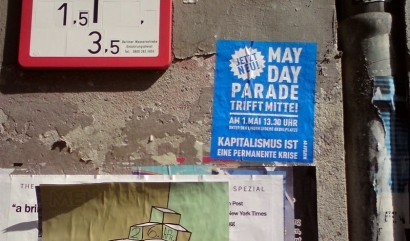 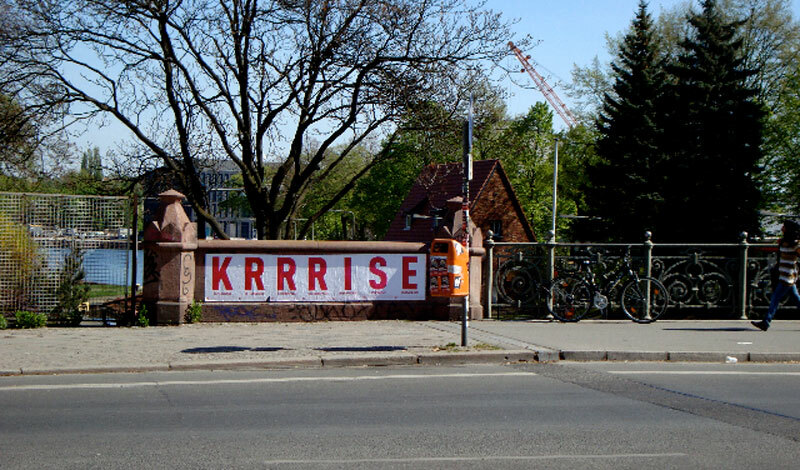 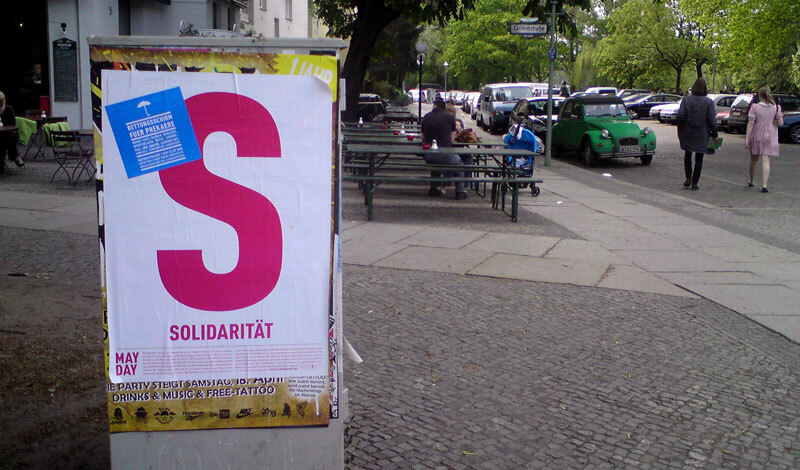 may 1 / labour day – how can one communicate something meaningful, which is not caught up between union sausages or barricades in kreuzberg? 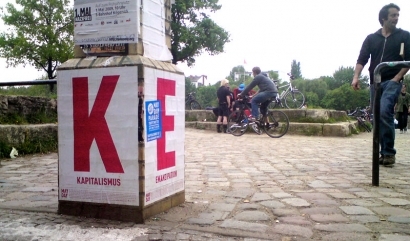 we have tried it. 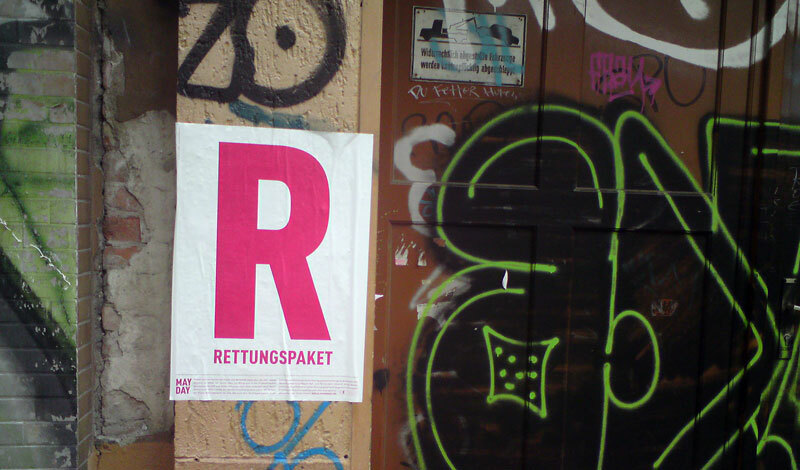 a poster city-poster scrabble game. 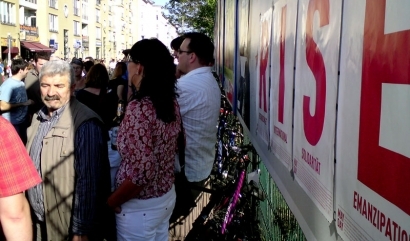 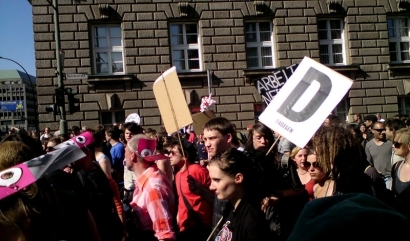 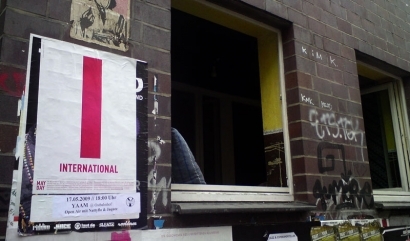 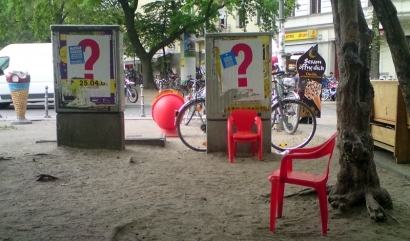 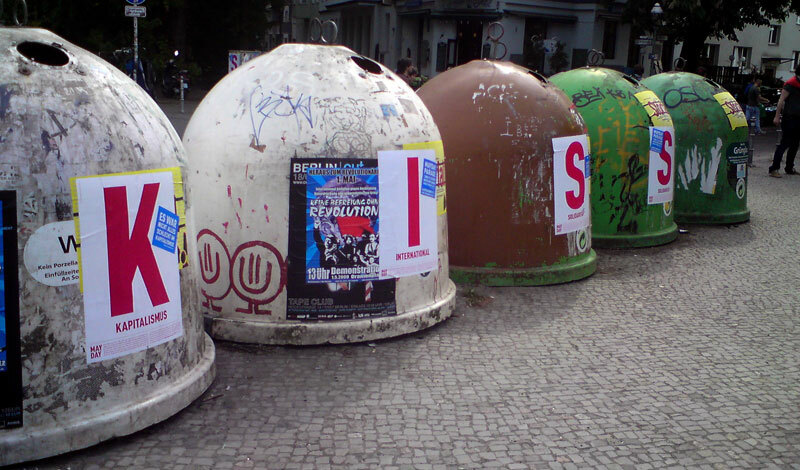 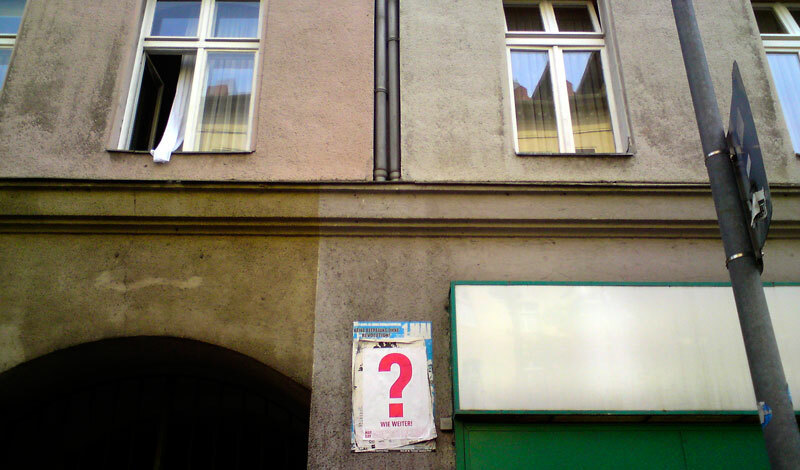 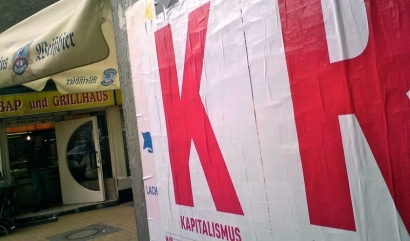 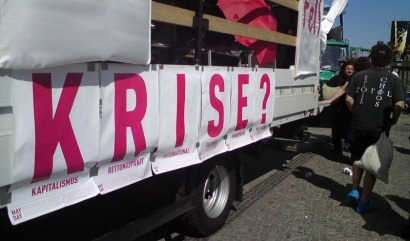 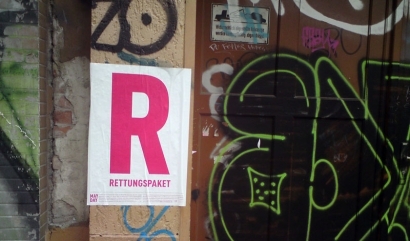 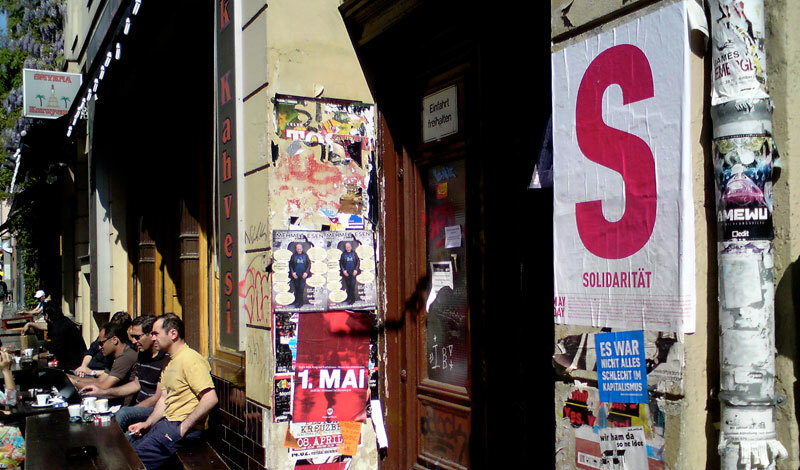 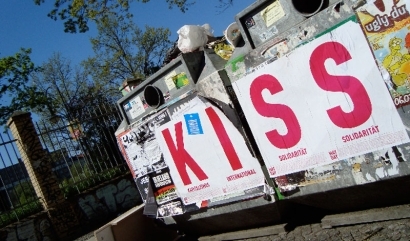 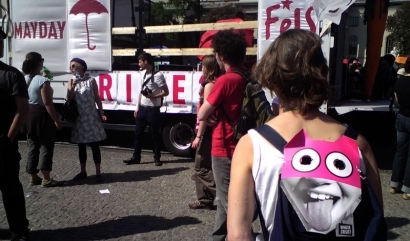 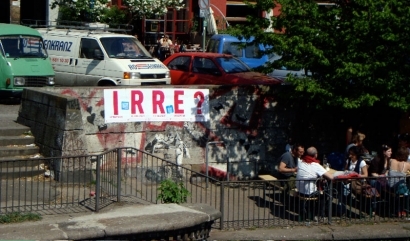 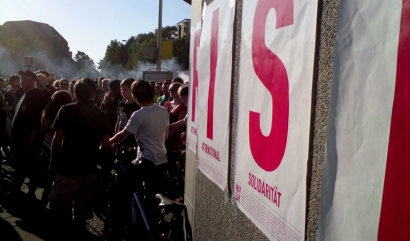 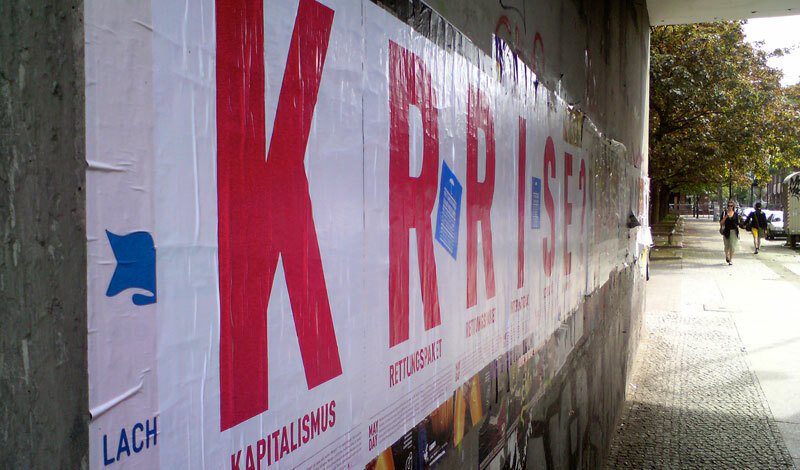 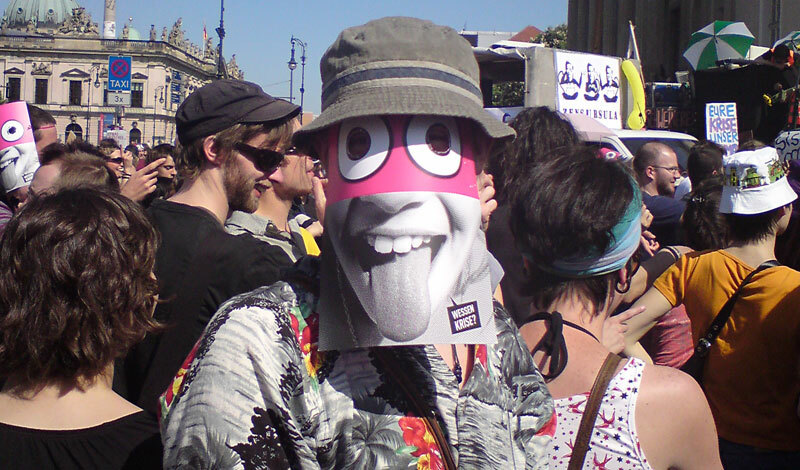 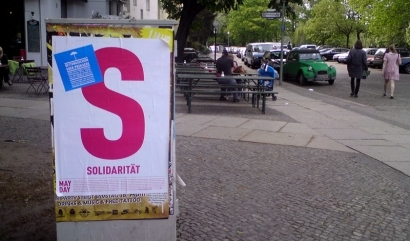 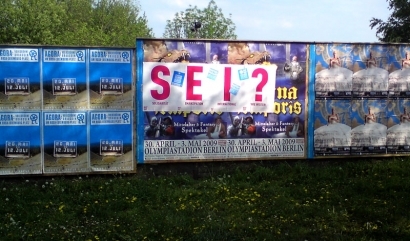 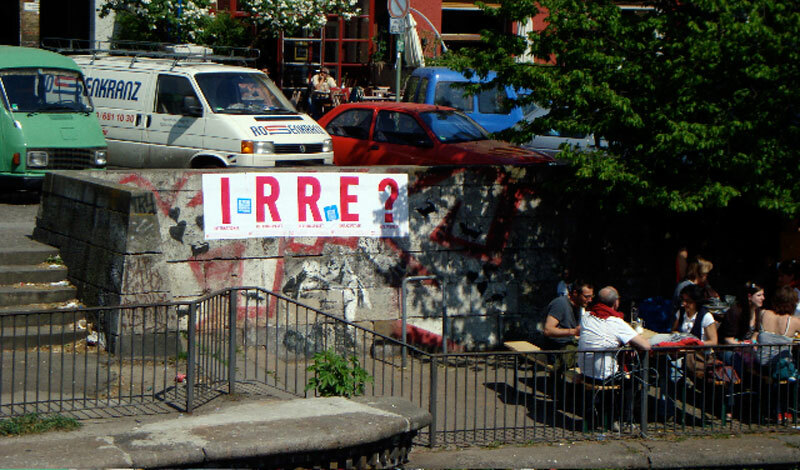 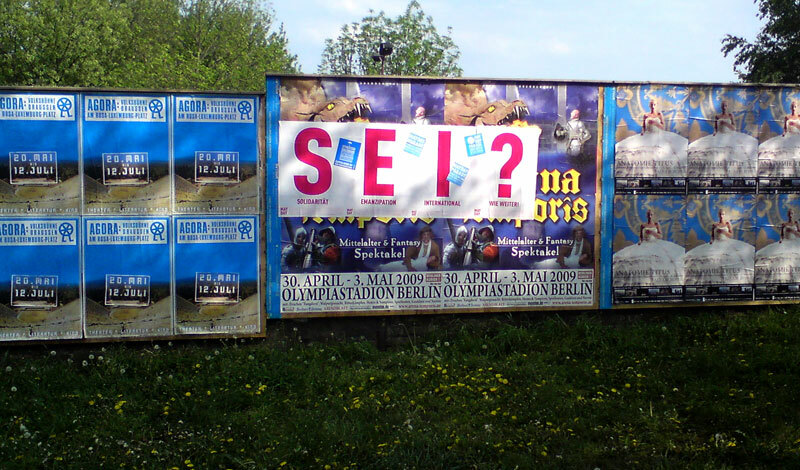 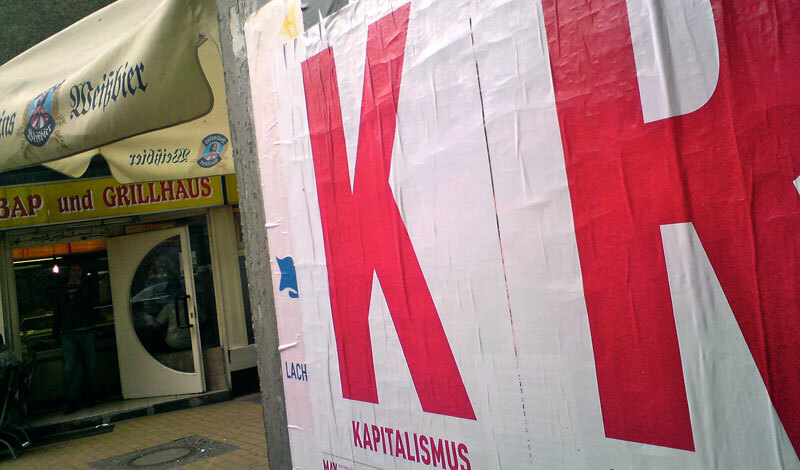 12,000 posters carried the „financial crisis“ with an „?“ into the streets. 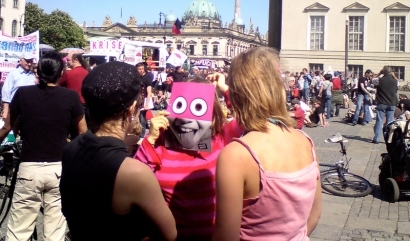 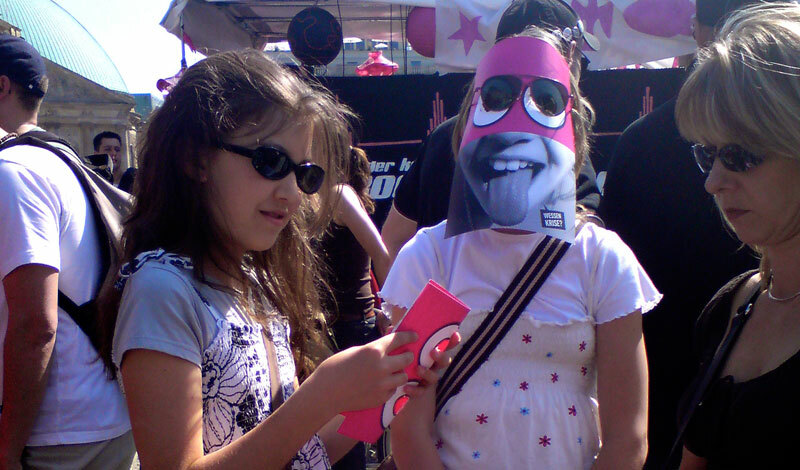 additionally we designed the demonstration leaflets as masks. 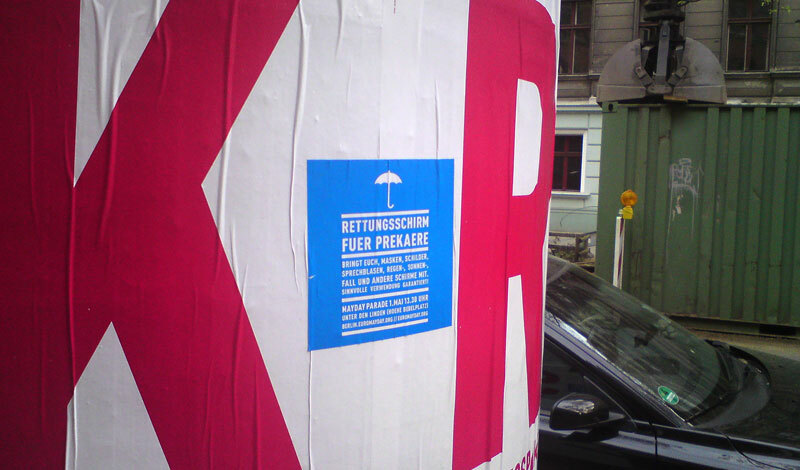 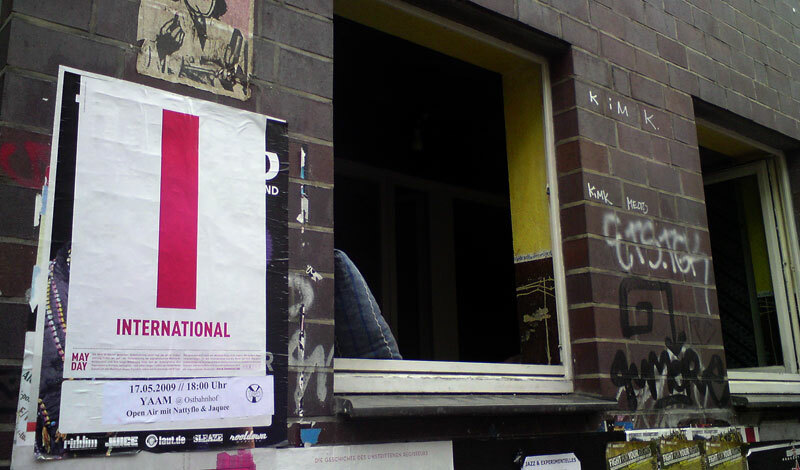 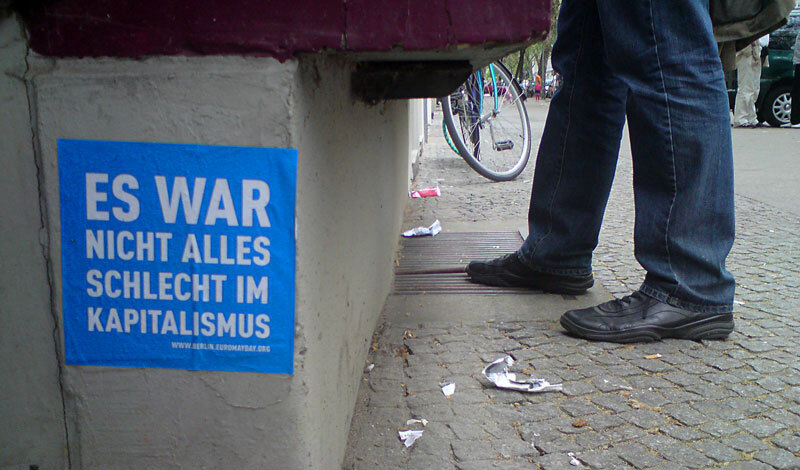 for several years we designed the visual campaign for mayday in berlin. 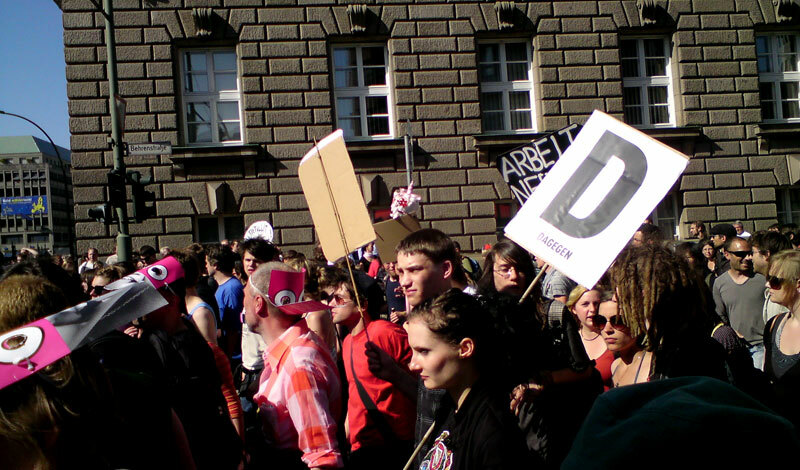 please have a look at our little history of mayday engagement though out the years 2007 -2010 on this new york based website „social design notes”.